Drawings by Pamela Colman-Smith, coloring by Mary Hanson-Roberts. Conceived by Stuart R. Kaplan. Back of card: Navy blue field with golden stars. Booklet included: Yes, 24 pages, 2.5 x 4.65 inches; or 65 x 118 millimeters. Includes short biography of Pamela Coleman-Smith. 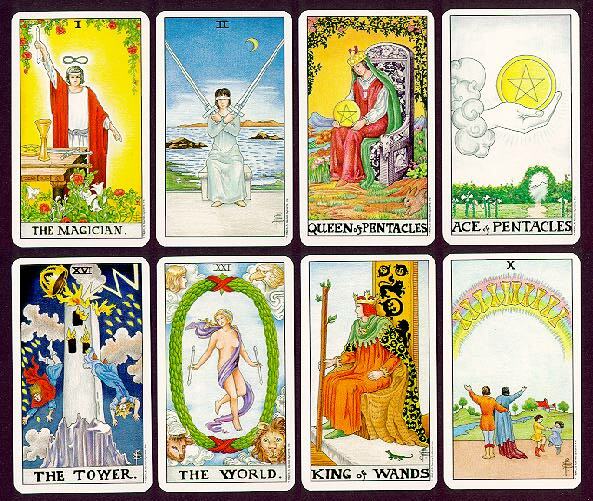 Comments: A beautiful re-working of the Rider Waite tarot deck.